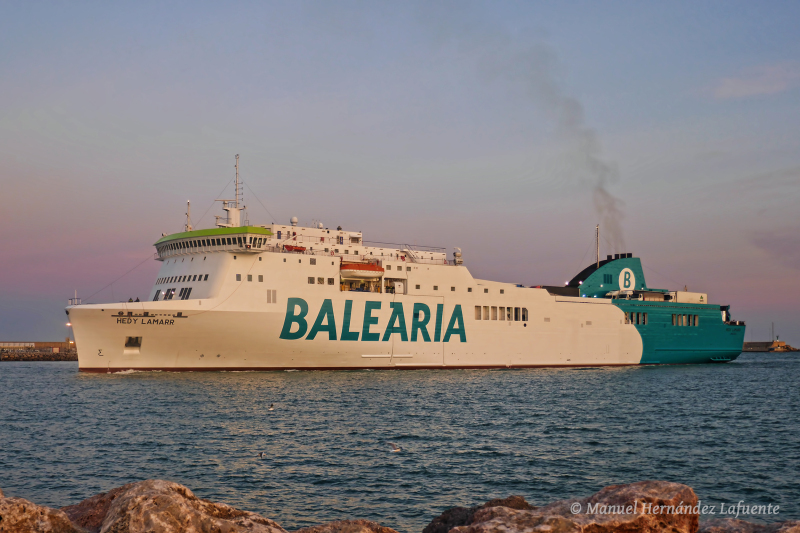 Entering to Valencia Port on 11/02/2019. Name of ship : HEDY LAMARR, 2018/10. Former name : Visemar One, 2010/04. Thank you very much Manuel. Now, although it seems strange because of my retirement status, I have less time to take pictures of the ships. Occasionally I make a trip to the port, which previously had to do every day. Un abrazo y saludos Manuel. Hola amigo Volker. Thanks so much. Yes, Hedy Lamar was an Austrian-born American film actress and inventor. All the best from Valencia my friend. Nice shot, Manuel! Good work! Hola amigo Manuel.Nice shot of the ferry.I like it.By the way, HEDY LAMARR was an american film star. Best wishes from a today sunny Kiel Canal. Volker.